NIA CHARLESTOWN NEVIS (January 18, 2018) — The Elizabeth Pemberton Primary School (EPPS) at Cole Hill, formally the St. Johns Primary School at Brown Pasture, is celebrating its 10th anniversary at its current location. 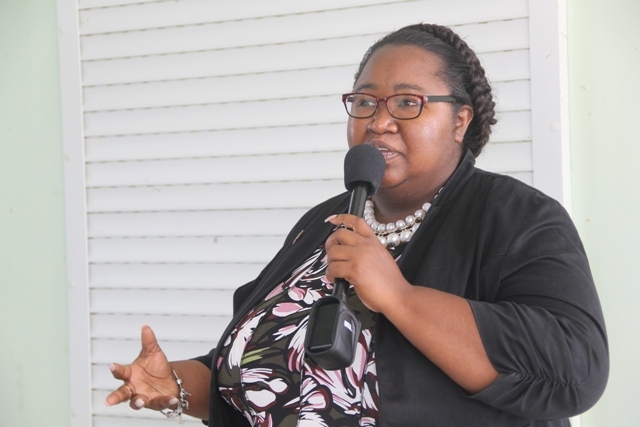 In an interview with the Department of Information, Ms. Shenelle Pemberton, Principal of the EPPS on January 17, 2018, gave some insight into the activities which commenced on January 14th with a church service at the St. Johns United Pentecostal Church. “On Friday 19th January, we’re having an anniversary luncheon and fun day starting at 11a.m. Tickets are $25 per person with chicken, fish, pork, mutton, seasoned rice, rice and peas on the menu. “On Saturday, 3rd February, 2018, will be the staging of the Mr. and Miss EPPS Show at the Cultural Complex beginning at 7 p.m.,” she said. Ms. Pemberton explained that because it is the school’s sports season, a decision was taken to highlight the three house colours – Red, Green and Gold for the Mr. and Ms. EPPS Show. Each participant will showcase their house colour. She also spoke of the various sections patrons can expect at the show. “There are different segments that we’re going to have, the normal fanfare segment, there’s the Sporting segment, Talent, of course, Professional Wear segment… where the students depict a profession they would have chosen. There’s also a Question and Answer segment,” the Principal said. Other items scheduled for the school’s celebration will include an Awards Ceremony and Cocktail on a date to be announced. The public will be invited and a fee will be attached. Ms. Pemberton also expressed her gratitude to the community for their assistance over the years. “It’s the 10th anniversary, you’re welcome to celebrate with us and I take this time to say thank you to everyone in the public who would have sponsored or assisted us over the years. We’re very grateful,” she said.